Another week has come to an end and I’m usually thrilled but that means that one week of my vacation is almost complete. On a good note it’s Canada Day Weekend so Happy Canada Day everyone! I’ve been a busy boy getting the materials ready to landscape our property so all my mates who have submitted guest posts I thank-you. If you have something to say and think my fans would love to read, simply send me an email or you can read my guest post guidelines here. 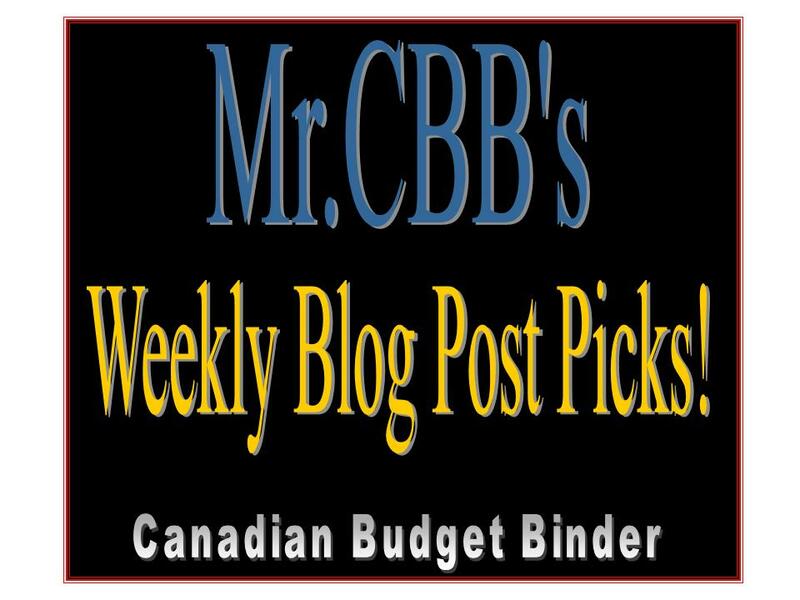 If you would like your blog listed on my Mr.CBB’s blog roll simply send me an email and introduce yourself and your blog! The Countdown Fund: Saving With A Purpose– Deacon Hayes over at Well Kept Wallet shares how you can save for big and small ticket expenses. These look great! I’m especially curious about the best places to stash your cash at home! Hey Mr. CBB! Thanks kindly for the mention friend =) I would love to try that tortilla recipe..sounds easy enough. I can make it with your guacamole recipe! Hope you are having a fantastic weekend. I am out of town so sorry for the lack of comments this week. Have you reached 2k followers on Facebook yet?! Thanks for the mention! I might have to try making those tortillas at home. They look pretty good and fairly easy to make. Have a great weekend!